This is the second year in a row that my family has visited Arcadia Farms Cafe for lunch on Christmas Eve. We’ve decided it’s a family tradition now, and plan to go again each year. 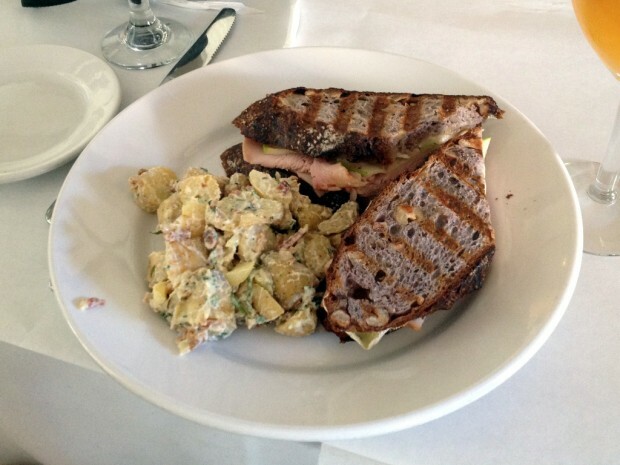 If you’ve never been to Arcadia Farms Cafe, you should go! 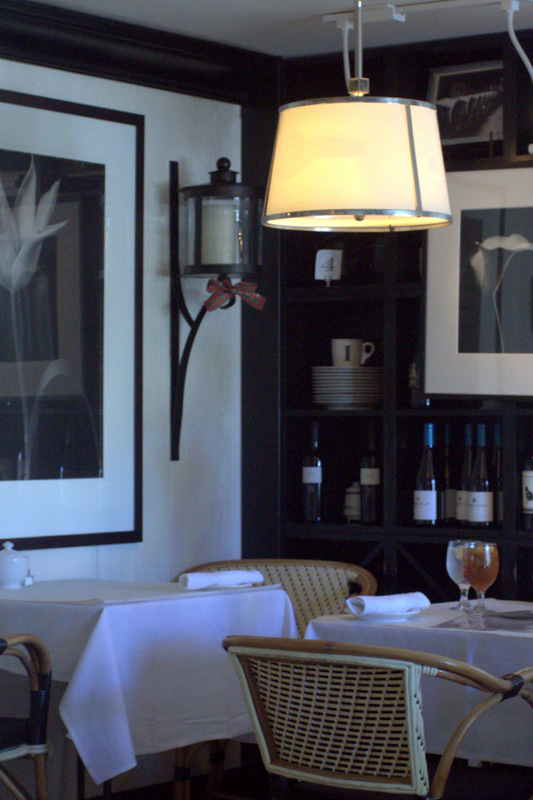 They have terrific food, with a great ambiance that’s classy and elegant. 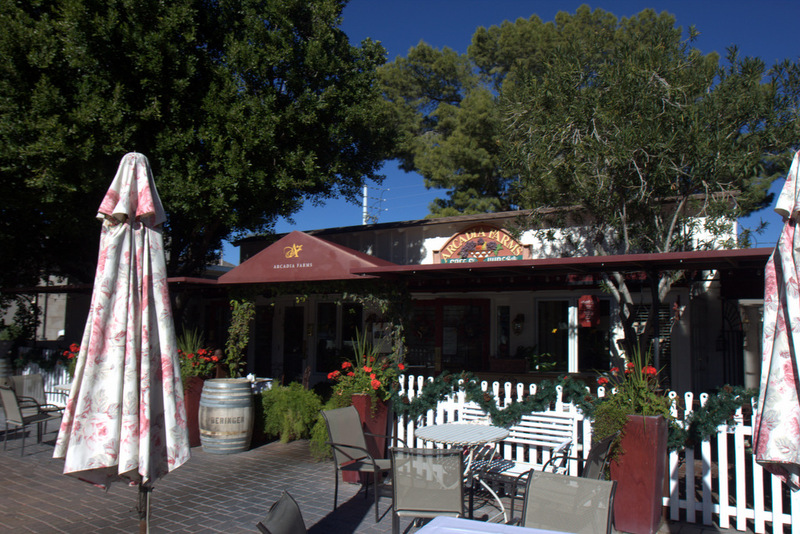 Arcadia Farms Cafe is located at 7014 E 1st Avenue in Old Town Scottsdale. Customer parking is along the street (Goldwater Boulevard). The exterior of Arcadia Farms Cafe in Scottsdale. Arcadia Farms is also open for breakfast, and in previous years we’ve sampled some of the breakfast items. They open daily at 8 am and if you are visiting Scottsdale and looking for a good breakfast place in Scottsdale, I highly recommend Arcadia. The absolutely amazing Turkey & Brie Sandwich from Arcadia Farms. The bread is a walnut bread which mixes incredibly well with the apple slices, and the brie cheese. Oh my goodness, I could eat this every day. I ordered it with a side of potato salad. Definitely a recommendation! 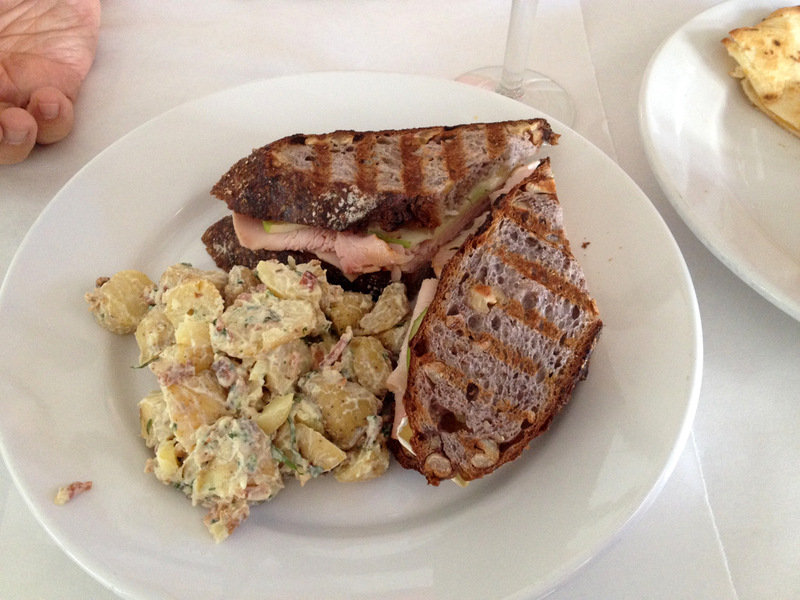 I’ll be ordering this again, and I’m also planning to try to replicate this sandwich at home. The interior of Arcadia Farms Cafe is classy and decorated in a black and white motif. The chairs are comfortable, and the staff is extremely professional. This is what we ordered for our 2-year old daughter. 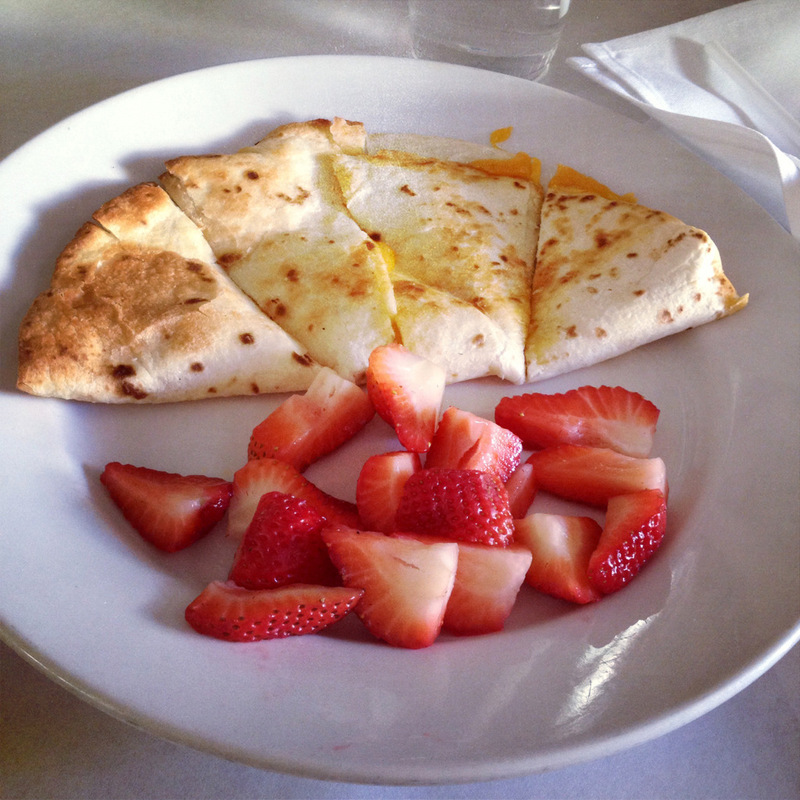 Cheese Quesadilla with fresh strawberries. 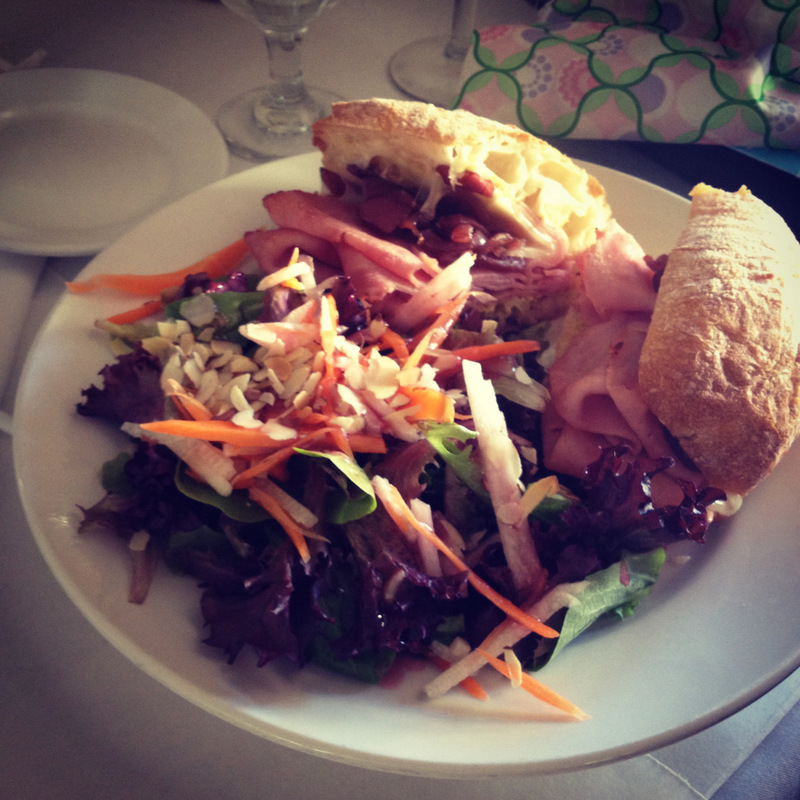 The Warm Grilled Rosemary Ham Sandwich with side salad that my wife ordered. It tasted excellent. What makes Christmas Eve better? An order of sangria! 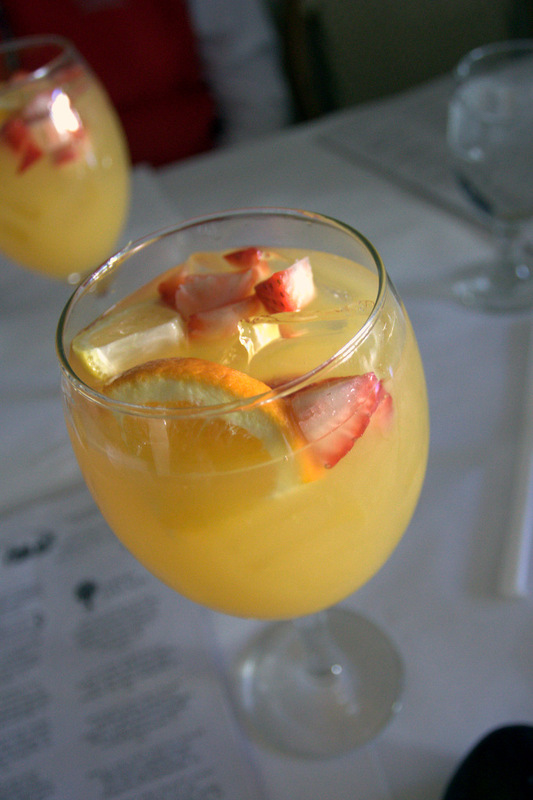 We thought it was more like a orange juice mimosa, but it was superb and we’ll probably order it again. It sure made lunch just a bit more tasty! Another view of my Turkey & Brie Sandwich (has smoked turkey breast, brie, fig jam, sliced apples, MJ’s walnut bread). We decided to order dessert! 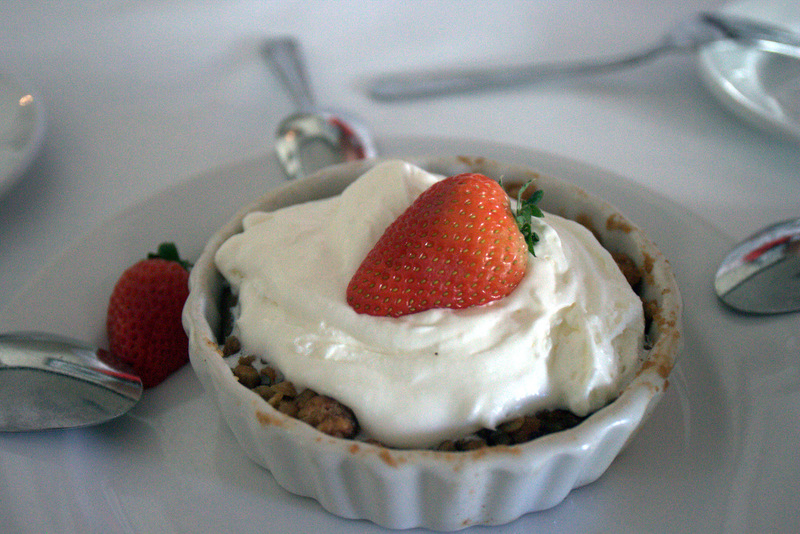 And this was the Seasonal Fresh Fruit Crisp served with Vanilla Bean Ice Cream and a strawberry on top! Lovely. 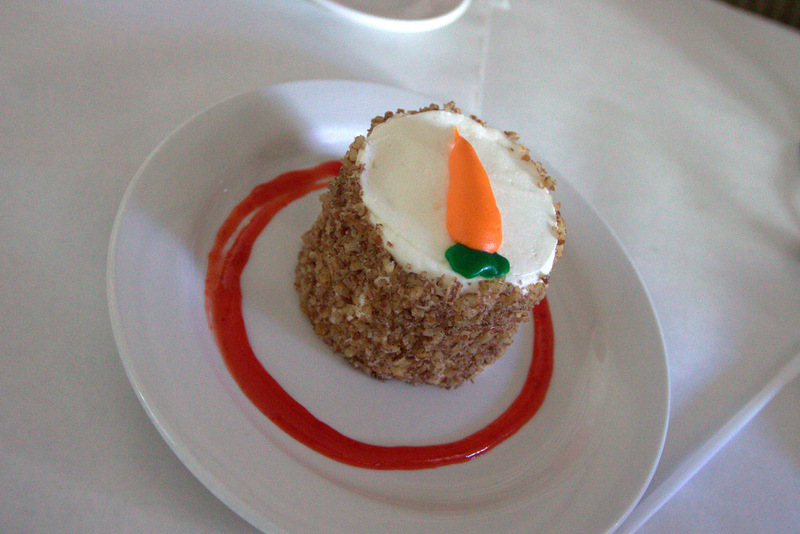 Arcadia Farms also offers a 24 Carrot Cake which we decided to order. Also a tasty end to a good meal. You can browse the full menu online, and even make reservations (not required) online.